Chester County is so special … the people, the topography, the events. 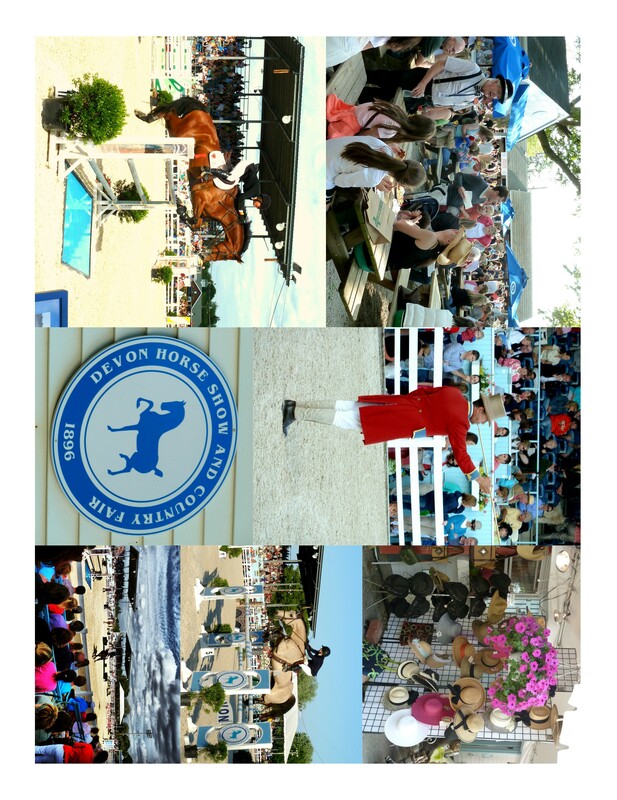 Certainly, the Devon Horse Show and Country Fair ranks as one its most cherished “happenings”. For those of you who don’t know, The Devon Horse Show grounds are located on Route 30, Lancaster Avenue, in Devon. It is rated as one of the finest and oldest horse shows in the nation; pure prestige for those equestrians who participate. And if you are anyone special on Philly’s Main Line, you simply must attend. This year throngs of horse lovers made their appearance, to see and to be seen. You can immediately spot the diehards with their preppy regalia consisting of riding britches, jeans, boots and bags. They may have their preppy dog in toe as well. I must also mention that along with the horse show, the grounds are brimming with 50 or more charming, and yes preppy, shops that carry the necessary equestrian accruements. The leather goods and silver are fantastic if you can handle the horse motif. Hats, sweaters and the expected 50 or more T shirts, hats and hoodies are available in every conceivable color and size. The food is nothing special, the expected hot dogs, burgers and fries. The real treat is to watch the people and the magnificent horses and their riders as they go through their jumping program – a wonder not to be missed. The horse show is always in June and the proceeds are awarded to the Byrn Mawr Hospital. Do catch it next year and, BTW, I was born a prep and I’m proud of it.